I am now very careful when it comes to my hot glue gun. When my daughter was a toddler, she pulled the cord to my hot glue gun and I wasn't fast enough to get to her before the tip made it on to her lips. There is nothing like mommy guilt. It was then that I turned to a cordless hot glue gun. Now, I am excited to have something for it to sit on for more safety and functionality! This is a personal blog. All editorial content and projects are intellectual property of Create Often with Jennifer Evans. This post is sponsored by Totally-Tiffany. I create what I love and love to share what I create. but all ideas and opinions are my own. 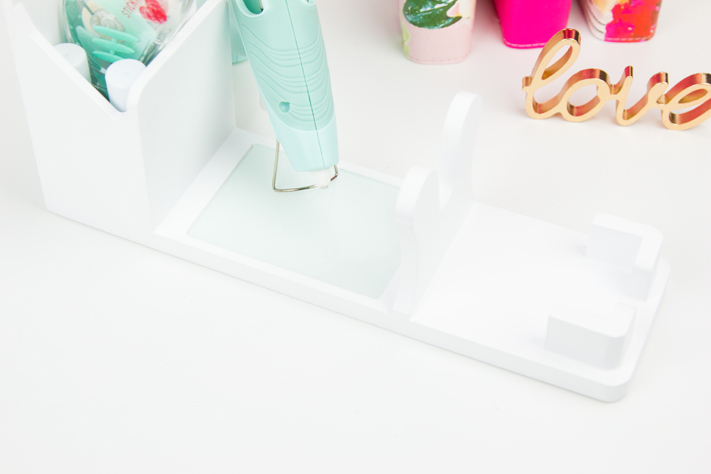 With the Totally Tiffany Hot Glue Gun Holder, my adhesive can sit at my desk when I am not using it and up high if I have little fingers around. I don't have to worry about it getting knocked off a shelf and burning my carpet (not like that has happened before - cough)! If you are a crafter, I am sure you have either hot glue gun war stories or war wounds too! Ha! The glass tile is perfect to catch those annoying drippings. Tiffany recommends placing a sticky pad there so that you can pull the papers off when you are finished with your project. This makes even faster clean-up. 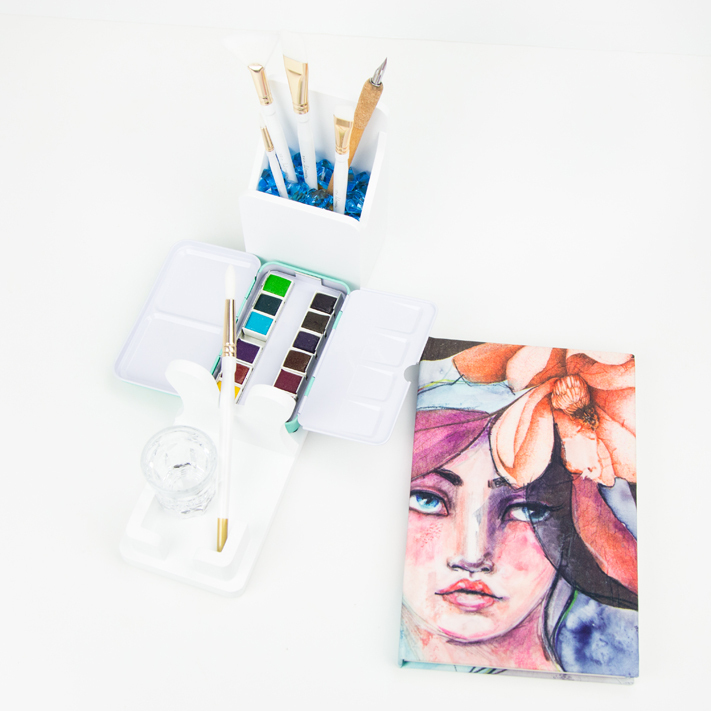 Not only does the holder make a great adhesive or tool organizer, I loved using it as a watercolor station. I realized it makes a fun place to put my watercolors, brushes, and even ink-well for lettering. I just filled the tool holder with beads so that my paint brushes would sit upright and the brush in use has a great rest in the notch of the holder. So convenient! I think it would be easy to travel to a crop or outdoors for a painting session! 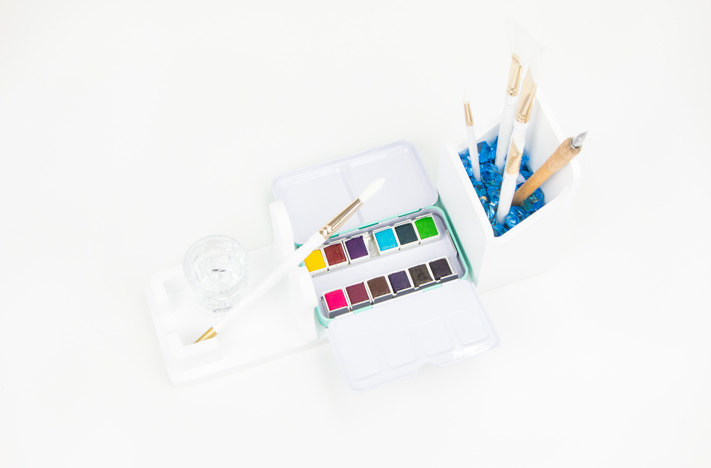 I am keeping the holder white to match the rest of my craft space, but if you love another color you could easily spray paint it! 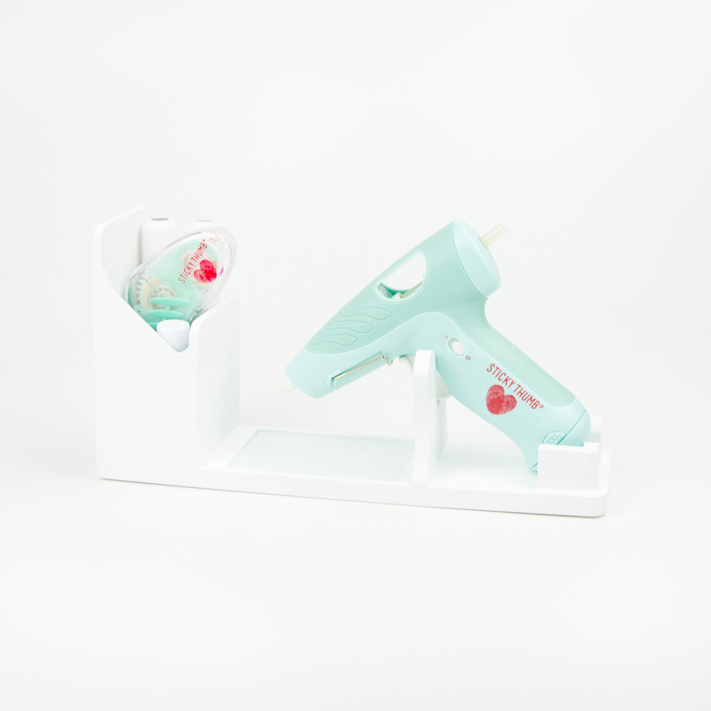 The Totally-Tiffany Hot Glue Gun Holder is NOW on special through September 18th-24th, 2017. 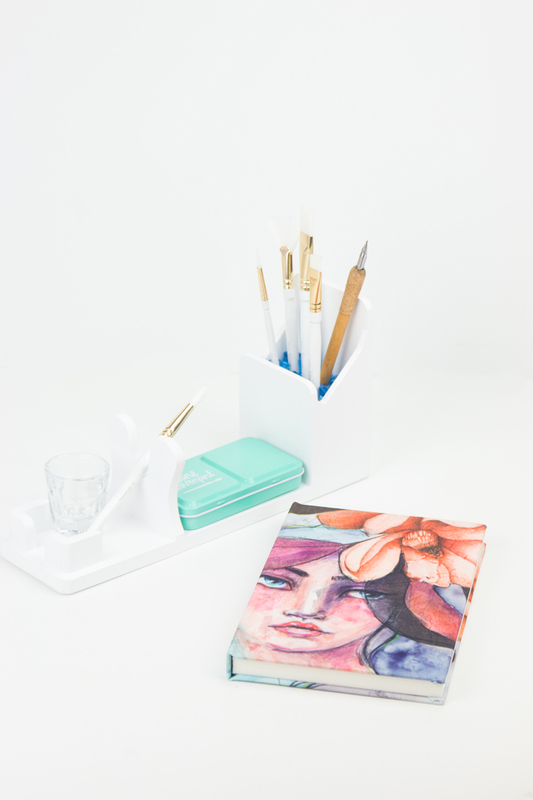 You can check it out here along with the rest of the DeskMaid collection that matches it.